So my husband is a handy man. Which, as you may infer, comes in handy. It is good, in a way – he can replace flooring, dishwashers, garbage disposals; install washers and dryers, you name it. However, with all this home improvement comes a lot of Home Depot visiting. 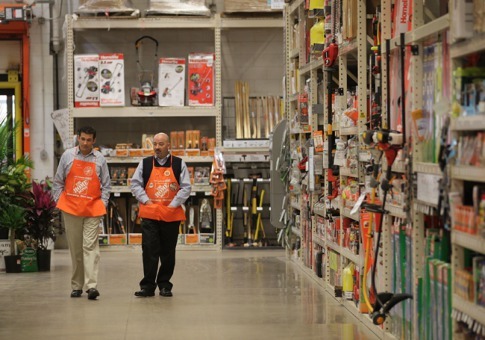 Now, I have nothing against Home Depot, per se. I just hate shopping in general. And the DIY experience is adventurous, to say the least. It was a shock to me to find out, as I started my homeowner life with my husband in this fine country, that things here are a “standard” size. 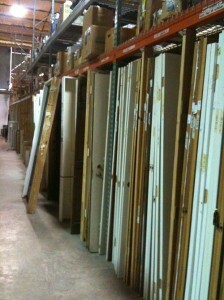 You have your standard doors, windows, sinks, cabinets, chunks of wood. You see, I come from a country where there is not one thing the same size/shape as another. This might be partly due to the fact that almost every single skilled worker, be it carpenter, electrician, plumber, etc., is either drunk (Tuesday through Sunday) or hung-over (Monday). So you, the helpless homeowner, give them money IN ADVANCE (for the materials. What, you thought they had their own? ), and, say you needed four 2x4s to patch that armoire that’s been in your family for centuries. Well, when the contractor finally comes back 2 or 3 months later, you get three 1x3s and have by now forgotten what you wanted to do with the boards – plus that repurposed shower curtain is quite convenient. Handy Man Husband: Hey, we need to replace one of the pantry’s folding doors. I’m going to get it off and measure so we can go to Home Depot and get a new one. Un-Handy Woman Wife (me): OK.
HMH: [Swearing] Of course, it’s NOT standard size (proceeds to explain that normal closet doors are – making up the number since I don’t remember – 32”. The OPENING on this pantry is 311/8”. Please note that all the discrepancies in these projects are based on eights of an inch). U-HWW: Why am I not surprised. HMH: Let me get online and get all the specs; then we’ll go put in a special order. OK, so previous owner who I hope is as we speak choking on his fried clam or current seasonal shellfish, perhaps you didn’t have ENOUGH WALL there to put a closet? Anyway, what’s done it’s done. After all necessary research, and armed with a notebook of serial numbers and measurements, off we go to Home Depot, armed with practical equipment*. Now, for some reason, it is a law that Home Depot will never be anywhere near your house (*it is thus recommended that you bring with you a change of clothes, plenty of water and provisions, toiletries, and charged cell phones – also, if you live in the Northeast, blankets and firewood). This peculiarity could be because it occupies an entire city – so first thing one has to do is pay attention, once one gets there, to which door is the closest to where one parked one’s truck. There are several doors at these places, and they are all in different counties. As we enter the store, we are immediately welcomed by Friendly Home Depot Employees standing by the door (two of them!). Specialist – These are highly trained employees and only know about the particular section they are assigned to. It is no use, for example, to ask a Kitchen Person about Lighting. However, there is no Door Specialist here. 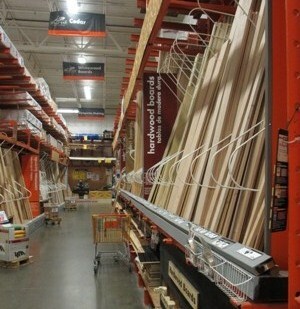 This must be the only section of the entire Home Depot that is actually deserted. There is, though, a stand with a little sign that reads “Please push button and a customer service rep will be right with you”. We push it and, what do you know, a light goes on THE ACTUAL BUTTON. 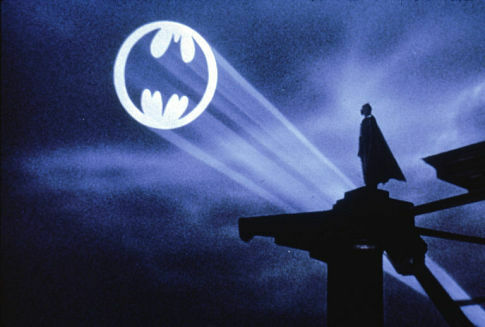 I wonder, at this point, if this is some sort of bat signal and find myself discreetly looking at the ceiling, trying to spot a hammer-shaped light (or a doorknob shaped light, in this case) – similar to the below, except with a more appropriate tool shape. Because unless the Door Specialist has a built-in chip that captures a signal from this light, or unless he/she/it IS ALREADY THERE, there is no way in hell that anyone else (besides the button-pushers) can see this little light. Finally, we hear voices (not the ones in our heads, if you were wondering). Here comes The Door Person, along with a customer. Sigh. “Be right with you”, he (not entirely cheerfully) says. The customer, a young man (note: young for me is anyone 40 or younger) and a little kid, who looks like a mix between Alfalfa (Little Rascal) and Will Robinson (Lost in Space). The young customer proceeds to put in his order (after apparently having been taken on a tour of the entire store) on every possible variation of door you can think of. Perhaps he owns an apartment building, or a castle. It takes approximately 2 hours, during which my husband goes to the bathroom twice, I watch the little Alfalfa/Will kid daringly going through doors that are staged in frames and lead nowhere (and indulge in wondering if maybe one of those could potentially fall on him and kill him, or injure him fatally, but the adult with him is naturally oblivious); I peruse all the different doorknobs on display (not that we are buying any), etc. Finally, after what seems to be like our 5th day since we left home, the customer is done and says, a bit apologetically (to his credit) – He’s all yours! Well, you’d think we are near completion of the expedition. Sadly, you would be wrong again. Door Person asks what we need, HMH proceeds to explain. Door Person gets out from somewhere inside the stand a book roughly the size of the Bible, if the Bible were printed twice and then bound together. Door Person: Hmm. Interesting. I don’t seem to have that particular model. It appears as if they discontinued it. HMH: This house was built in 2002. Door Person: That’s odd. Perhaps it wasn’t popular [no sh*t Batman! They only made my previous homeowner’s single door and workers at factory are dead after laughing until they choked in their own spit, thinking once the damn door fell off not even the actual creator would have a replacement!]. Let me call the manufacturer [calls. Silence. “I see”. Silence. “Thank you”]. Well, they discontinued it. HMH: Great. What can I do? Door Person: I don’t know [tries, but does not succeed, to look sorry]. HMH: So I should, basically, build a door from scratch? Door Person: If you know how to, that would be my recommendation, yes. U-HWW: (in my mind) For nothing. So, roughly a week after we left home, the non-standard one with the now half-open to the entire world to see pantry, we get back. I ask (as a last resource, though I know the answer) if husband can put old door back. Of course he can’t. Door is practically disintegrated, which is why we needed one in the first place. Next steps are not brought up or discussed, I wonder but am scared to ask. Four months later, I still have half the closet exposed to the elements and seeing eyes of all who go by. Considering that re-purposed shower curtain as we speak….